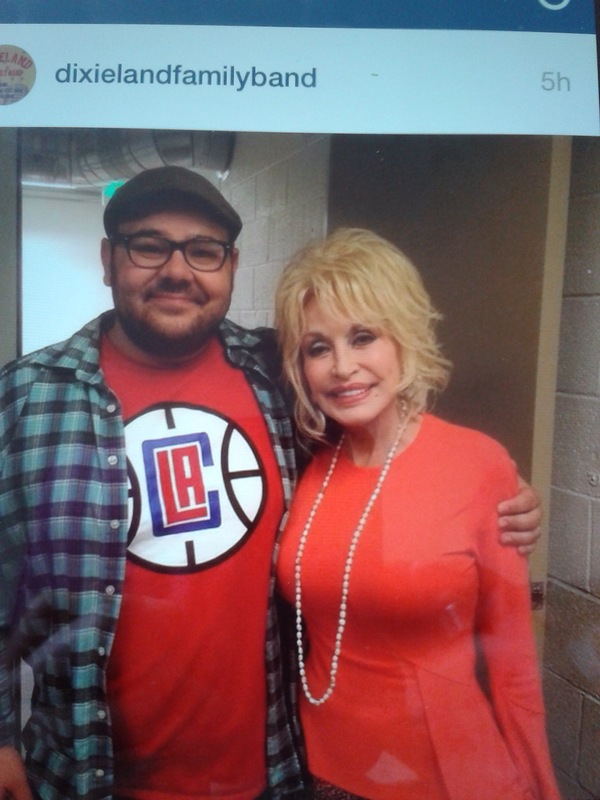 This weekend Dolly Parton visited DixieLand band in Los Angeles, according to the DixieLand band, Dolly was super bummed that she missed that show by one day. She told the band that’s she’ll Try to come visit to another show. Dolly is the sweetest. This entry was posted in News, Uncategorized and tagged DixieLand band Show, Dolly Parton, Los Angeles, Weekend by dollyfan. Bookmark the permalink.